The company was founded in 1996 by Bitten Hogh as Yunnan Danyun Business Affairs Consulting Co. Ltd. The company served many clients in China and around the world, helping them to take part in the growing Chinese market or expand into international markets. The goal was to ensure our clients success in the global market place by reducing risk, protecting investments and maximizing returns. In the past, Danyun provided translation services, business consultation, international trade operations and cross-cultural exchange and consultation, all focused on Yunnan province. In the year 2001 Danyun with its trademark Threads of Yunnan became a member of the WFTO (World Fair Trade Organisation). Experiencing and understanding the great advantages of adopting the principles of Fair Trade, the decision was made in 2006 to focus on developing Fair Trade business as much as possible. 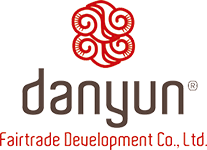 As a result a name change was made in the beginning of 2009 to Yunnan Danyun Fair Trade Development Co Ltd. In 2013 Danyun was one of the first 10 companies in the world to be a Guarnteed Fairtrade Company with WFTO’s labeling system SFTMS and is now able to label its products with WFTO’s Guarnteed Fair Trade label. One of the goals for the coming years is to help more small producers in Yunnan operate according the Fair Trade principles. This is a great challenge when you realized that the people in the countryside have never heard about Fair Trade and the Fair Trade Principles are a very different way of transacting business.